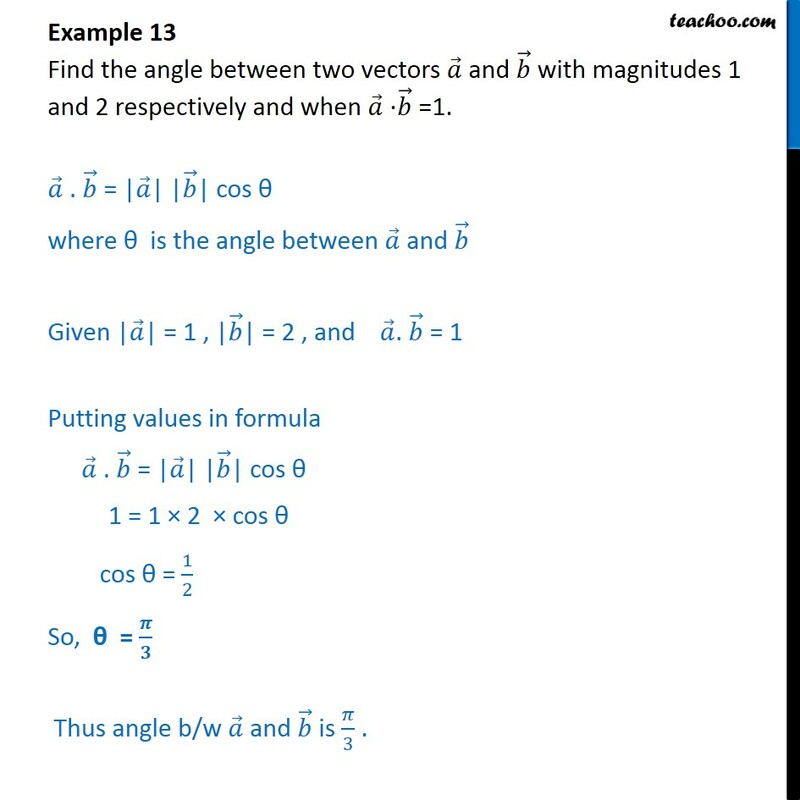 Example 13 Find the angle between two vectors and with magnitudes 1 and 2 respectively and when =1. . = | | | | cos where is the angle between and Given | | = 1 , | | = 2 , and . = 1 Putting values in formula . = | | | | cos 1 = 1 2 cos cos = 1 2 So, = Thus angle b/w and is 3 .